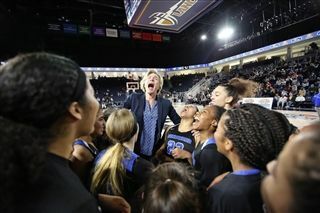 Windward School | Windward With the Win! They did it again! 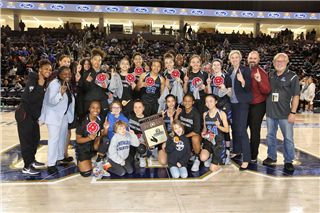 On February 23, Windward’s Varsity Girls Basketball team added another highlight to their incredible season, defeating Sierra Canyon 73-58 to win the CIF Southern Section Open Division Championship. Their third Open Division championship in as many years, the game proved every bit worth the hype, the tightly contested affair neck and neck through the final period. 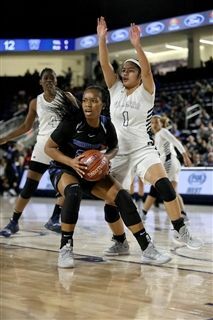 Charisma Osborne ’19 poured in 27 points in the win, followed closely by McKayla Williams ’20 (25 points) and Kaiyah Corona ’19 (17 points). 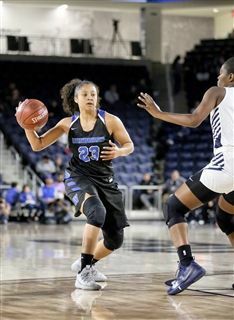 The total team effort put an exclamation point on the team's 25 win regular season. 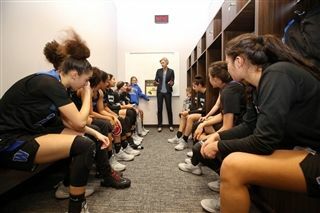 Congratulation to the players and Coach Vanessa Nygaard, and thank you to all the students, parents, and faculty who cheered on the team every step of the way! Bring on Etiwanda! You can also click to view news coverage from the Los Angeles Times and USA Today.